Now, with the twenty20 series scheduled to start from tomorrow, team india will hope to continue with the similar kind of preformance. It will be another test for the young team India. Like ODI series, the T20 series will also have a total of 3 T20 games. The first one is scheduled to be played on Saturday. Indian cricket team will remain as the fan favorite. They should not ahve any problem in winning this series too with a whitewash. They just need their players to shine once again against Zimbabwe. India has an upper hand as the elected squad consists of many consistent IPL performers. The favorite player from the men in blue will be KL Rahul. He played an very important role in the recently concluded IPL 2016. Moreover, he also impressed in the ODI series of the India’s tour of Zimbabwe. He made his debut hundred in one day international and became the top scorer of the tournament with 196 runs. Also, there is one more batsmen who scored good runs, Ambati Rayudu made 103 runs. We expect that both of them will be seen playing in the upcoming series as they will play crucial roles in the team. However, there is one more player who would be seen thrashing the opponent bowlers. He is Manish Pandey, but he couldn’t get more time on the crease to prove his mettle. These three batsmen, Rahul, Rayudu, Pandey sets out to score some runs along with MS Dhoni, then there is sureshot chance of winning without any problem. Zimbabwe would need extra ordinary bowlers and fielders to stop them from scoring as all these three players are capable of giving brilliant performances. Indian bowlers would be looking forward to rip apart Zimbabweans batsmen. India has bowlers likes of Jasprit Bumrah and Yuzvendra Chahal who are taking wickets on regular basis. They did a good job in the ODI matches. There are more players like Rishi Dhawan, Mandeep Singh, Jayant Yadav, and Jaydev Unadkat who are all good and capable of playing some crucial innings with bat and ball. Zimbabwe should have lost hope of giving some good performances in the upcoming 3 matches T20 although they have lost all the ODI games. They would take inspiration from the India’s last visit to them last year. The situaion was kind of the same. In 2015 too, the African nation had lost the ODI series but was successful in drawing the T20 series. So, to take the game to the next level, Zimbabwe would need to play their best. By incresing the level of their performances only, they can hope for some improvement and then only they can give competition to their opponents. In all the ODI games, they were outnumbered heavily in all departments of the cricket. They weren’t able to scare neither the bowlers nor the batsmen. Looking at the papers, Zimbabwe has all the required stuff to stop India from winning. They have all decent players like Ghigumbura, Sibanda, and Williams. All what they need is to focus on the game while bringinig in all their cummulative experince at the smae time into the play. They will need to give a respectable performance in the T20 games. Also, they will have the home support. 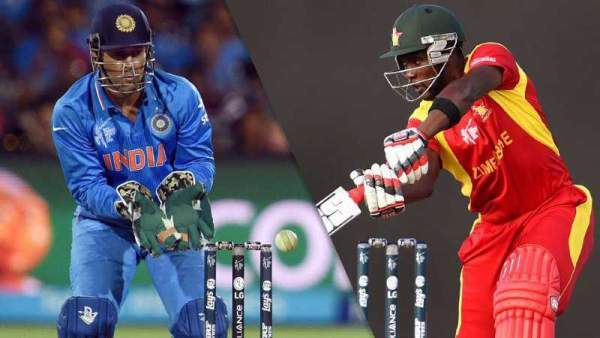 Hope you have got all the required information regarding India vs Zimbabwe 2016 T20 Schedule. Stay tuned for more updates.